What could Warp Tour mean? If you haven’t seen Warp Tour, then watch it. We mean it. This is a Big Deal episode, and you owe it to yourself to see it before you start reading about it. You’ll thank us later. But if you have seen it already, you’re probably ready to geek out over it. In that case: read on. 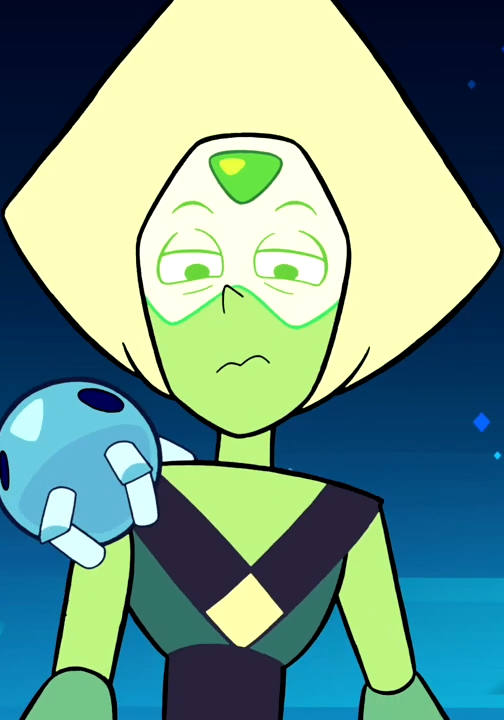 Peridot: The star of Warp Tour, with a flask robonoid on her shoulder. Wow. The crew did not lie. Steven’s world, and ours, has just changed, big time. Lapis Lazuli was a huge deal in Mirror Gem and Ocean Gem, but Peridot came from the homeworld. It was enough to terrify the Crystal Gems, so you know her appearance is setting up something good. Even though she went straight back home, with perhaps two minutes of screen time, Peridot managed to say a lot. All of her dialogue was in the form of a log entry, and she wears the Gem rhombus on her chest. It was her robots, which she called “flask robonoids” that repaired the warp pad leading to the Gem homeworld, presumably after checking all of the other warp pads on the planet. Since she said there were 79 robots, we can assume that is how many warp pads Gem records indicated there to be on the planet. Peridot manifested the same cold attitude we predicted that Gems would regard others with after we saw Lapis (who, remember, was very nice to Steven and even merciful towards Amethyst but almost wiped out all life on Earth). The writers used Steven mentioning that the robots are like her babies to drive this point home as she destroyed the damaged drone. They’re not her babies: they’re tools, and if they’re not useful then they’re nothing. Remember that these are robots with startling intelligence: despite being repair bots, they still knew how to attack Steven both in and out of the warp, using different tactics depending on the situation. Neither Pearl nor Amethyst knew what the robonoids were. Considering how both of them knew what a Red Eye was on sight, this indicates a progression of Gem technology during the thousands of years the Crystal Gems have been on Earth. 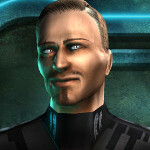 It also indicates that the attack in Laser Light Cannon was with antiquated technology, perhaps a relic of the initial war that took longer than expected to arrive. We haven’t been officially enlightened about what went down between the Crystal Gems and the homeworld to cause them such anxiety about the homeworld’s return, but Peridot’s appearance is a clear indication that some chickens are coming home to roost. We can definitely expect some answers. Can you believe it? We were excited to see the Warp. You remember, right? We were very excited. And yet here it is, forced to the bottom of the page by Peridot: show-stealer extraordinaire. Still, it’s quite impressive to see it, isn’t it? Steven’s reaction to his lengthy exposure to the Warp after he was forced out of the warp stream by the robonoids seems to indicate that, contrary to speculation, he does in fact need to breathe. He appeared to be on the brink of losing consciousness from the low oxygen content of the air, but suffered no adverse effects from any kind of pressure differential nor any distress from high carbon dioxide levels or toxic gases. When coming to his rescue, the Crystal Gems either displayed the ability to target their warp stream to a very high degree of precision (coming within only a few feet of actually catching Steven with the stream directly) or were very lucky (not that Garnet’s arms couldn’t have retrieved him at almost any distance). We were very happy to finally get to see the Warp. We also think Peridot was worthy enough to supplant what we thought would be the highlight of the episode. Just… Wow. I’m not sure if 79 is the number of warp locations, as she said that all the bots are accounted for yet the lunar sea spire and it’s warp is now waterlogged and the communications tower’s warp is now destroyed. Well we know that a warp pad being covered in water didn’t stop it from activating when they escaped the Sea Shrine. It’s also possible that some rovenoids reached their pad sites only to find them either missing or unrecoverable; the most bots we saw in one shot was still under fifty, so some might have checked in as functional but unable to commence repairs. It’s just tough to tell. It puts a ceiling on the number of warp pads, at least; I can’t think of any reason for them to send too many more drones than pads. How many more they send would depend on how much concern they have for capacity of repair material.